Joel Tomkins and Grant Millington will serve two-match bans after their cases were heard by an independent operational rules tribunal. Hull Kingston Rovers captain Tomkins pleaded guilty to the Grade D questioning the integrity of a match official charge issued against him in the Super League match against Salford Red Devils on February 23. Due to his good record and admittance of guilt, an independent operational rules tribunal, consisting Rodney Grant, Danny Sculthorpe and Stuart Fielden, went outside the normal sanctions of a Grade D charge when penalising. The player has been issued with a two-match suspension and fined £500. Tomkins has already served one-match of that suspension after being stood down by Hull KR last weekend. 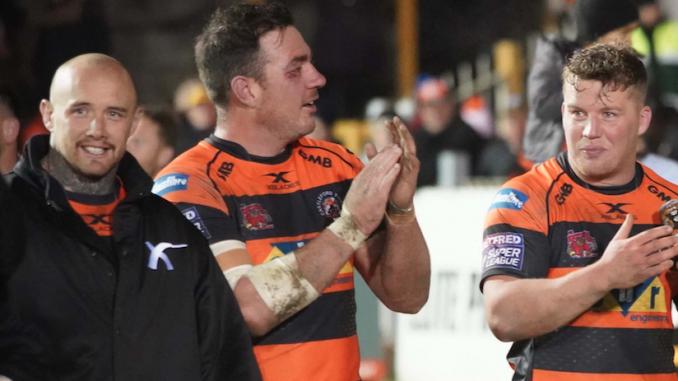 Meanwhile, Castleford Tigers forward Millington challenged the two-match penalty notice for the Grade C repeated striking charge from their win over Hull KR last week. The independent operational rules tribunal felt the sanction was justified but that the appeal was not frivolous. His two-match suspension still stands.